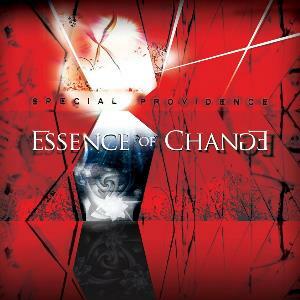 I have been listening to Special Providence for quite a number of years now and finally the chance is here to do an album review for their latest release; Essence Of Change. The tittle stands for a number of changes that happened to the band. One of those changes is the signing to an international label; GEP, which hopefully leads to well-deserved global attention and another is the line-up chance of the band. In their ten years existence, Special Providence; Adam Markó on drums, Márton Kertész on guitar, who joined in 2006 and plays on all the albums and bass player Attila Fehervári, who replaced the original bass player and first participates on the 2012 release Soul Alert, they had to part ways with their founding member; keyboard player Zoltán Cséry. Another Zolt, Kaltenecker this time, took over the part as keyboard player in the band. Special Providence is a band hailing from Hungary, playing a very interesting mix of progressive rock, fusion and more. On their site the music is described as Progjazzrockmetalturbochill and until this album I would agree to this fascinating way of describing yourself. The new album Essence Of Change takes a step away from some of the parts, mentioned in the description. In previous releases the element of turbochill was featured in the keyboard playing style of Zoltan, who embedded lounge, trance and other modern popular elements in Special Providence's music. Listen to the song Lazy Boy of the previous album Soul Alert (2012) and you can hear his input in the band. Nowadays the musical style has returned to the basics and focusses more on writing great compositions, craftsmanship on their instruments and powerful guitar. In a way on this album you can hear the difference when you listen to the first eight compositions and to the additional track: Testing The Empathy, which features the original keyboard player. Don't get me wrong, I loved all previous releases and I totally dig this one. It just differs, no more no less. Musically Special Providence still has a very recognizable sound; especially guitar player Márton Kertész has an own distinguished fusion style that puts a mark on every composition. After the powerful first notes of Awaiting The Semicentennial Tidal Wave, you can enjoy the typical melodic way of playing of Márton Kertész. As a counterpart the keyboards add fantastic solos and melodies, in the meanwhile accompanied by powerhouse drummer Adam Markó, who in my eyes is a super talent. To me this opener has a more powerful feel than the compositions on previous albums. When the album moves on, the keyboards are equally divided with the guitars, although I do get the intention, Marton's role in the band has grown, but nevertheless during Surprise Me, the progressive fusion keyboards have taken the lead, which makes this a very interesting song. Another fine aspect in Special Providence's music is the way piano is imbedded in powerful riff structured compositions, Northern Lights is a great example of the way how delicate piano and rough guitars go hand in hand. More towards jazz than progressive music is Atlas Of You, which has a cool and relaxed atmosphere, only a short outburst of guitar disturbs the peace of the song. Darkness also sees the fine combination of guitar and piano, but more subtle this time. It amazes me every time I hear this combination. The album's longest composition sees a guest performance of Serbian metal guitarist David Maxim Micic. Gas Giants should be a total guitar mayhem, when you combine two very talented guitarists in one song, but the keyboards are perfectly balancing this epic, creating the highlight of the album for me. Like I wrote before, the album's bonus track sees the contribution of their previous keyboard player and is basically an unreleased single recorded in 2013. Essence Of Change is a new step towards an even brighter future of Special Providence. Sure, there is a difference with previous releases, but without change boredom would strike and albums would be exchangeable, which is not where progressive rock stands for, I guess. For me the new path of more powerful music, larded with lots of melody and fusion elements is absolutely great and I regret I could not attend their concert in The Netherlands.